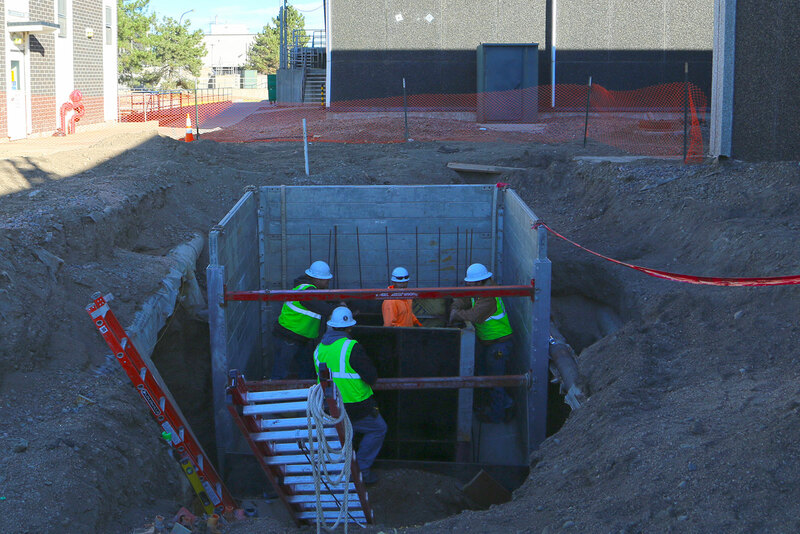 The Metro Wastewater Reclamation District in Denver, Colorado, has embarked on an exciting fifteen-year journey to a sustainable future for its water reclamation facility serving 1.8 million customers in the Denver metro region. MWH Constructors is the general contractor on this $52 million design-bid-build project consisting of improvements to the south headworks and grease processing building. Modifications to the existing South Bar Screen Building. Demolition of the two existing grit basins, and grit pump station. Construction of South Grit Basins includes grit basins, grit pump station, and grit piping tunnel. Construction of the South Grit Handling Building. Modifications to the Grease Processing Building. This facility will enhance the quality and ecology of the South Platte River.